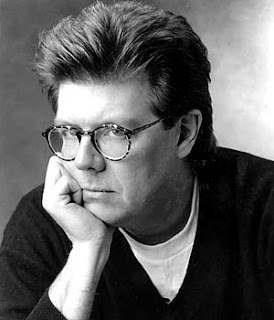 After the sudden death last week of film director, writer and producer John Hughes, many musicians have voiced their admiration of his work. As the man behind iconic films including Ferris Bueller's Day Off, Sixteen Candles and The Breakfast Club, he integrated pop music into the movie-going experience and inspired many along the way. This was clear last weekend at Lollapalooza, where bands such as Vampire Weekend and Chairlift dedicated songs to Hughes. Chicago pop duo JoyFocus are among the musicians who consider him an inspiration, and in the wake of his death are spreading the word of a tribute song called "Mr. Hughes Come Home." Released in 2007, the very catchy tune was originally slated to appear in the documentary Don't You Forget About Me - The Movie, but eventually wound up on one of the band's EPs. Listen to the song here and check out our recent Q&A with JoyFocus.